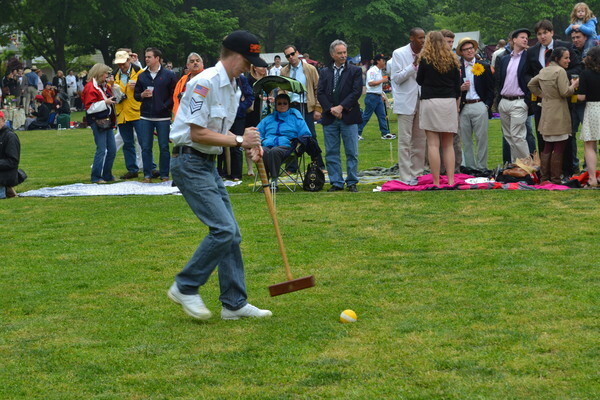 Once again, pomp and circumstance reigned supreme at the annual St. John’s College, Naval Academy croquet match on Saturday. Ladies dazzled with elaborate frocks and wide-rimmed sunhats with all the frills and trimmings and men were similarly smartly outfitted with fanciful jackets and bowties. “It’s fashion on top of fashion with a side of croquet,” said William Henley, a 25-year patron, as he tipped his boater’s hat. Oh, and the Johnnies won the game, hosted at St. John’s, 5-2. The win came as no surprise since the midshipmen have only claimed victory five times in the match’s 30-year history. Their last win was in 2005. 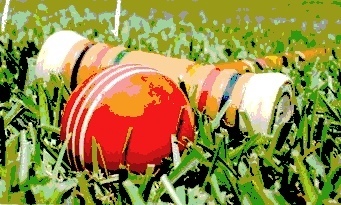 For many spectators, the outcome has become so predictable that the match itself is only a side attraction. “It’s about the wine, the food, the music, the camaraderie,” said Jack Carey, another 25-year attendee, as he gestured to couples dancing along to tunes performed by Trident Brass, the Naval Academy’s jazz band. In fact, the most anticipated part of the day was awaiting the arrival of the St. John’s team. In the past, the Johnnies have donned unusual uniforms such as Viking outfits and kilts. This year proved no exception, as the team ran out onto the field dressed as campus police. 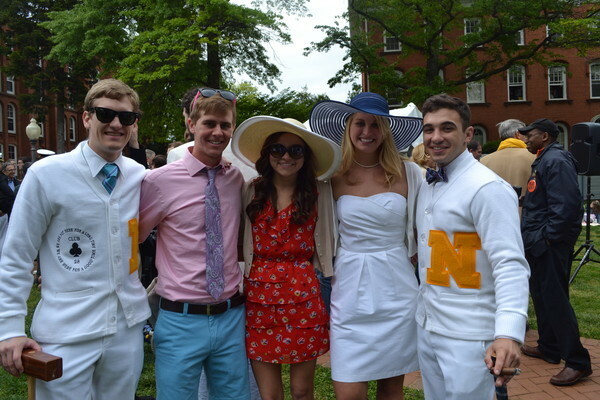 Dressed in crisp white slacks and shirts emblazoned with a bright, yellow “N,” the midshipmen were no slouches in the fashion department themselves. “It’s always fun to watch,” said Jane Taylor, another spectator. Keith Mays, a retired Navy captain, and his wife Brenda Mays attended the match for the first time on Saturday. “How we haven’t heard of this—it’s incredible,” Brenda Mays said. Keith Mays was likewise impressed. “The pageantry, the youthfulness—it’s nice to see young people dressing up,” he said. And if Naval Academy student Erica Leinmiller has her way, the tradition will continue for many more years to come. “It’s certainly a social highlight of the year,” she said.